Chris Sale can tie the record that he matched back in 2015 when he recorded eight consecutive games with 10 or more strikeouts. Will he keep it going tonight in Oakland opposite the A’s and help cash the under? Just missed another 2-0 performance last night, as while the second game of the Rockies-Twins doubleheader comfortably finished under the total, we were defeated in the Blue Jays-Braves Under 8 bet by a single run, mostly thanks to the dumb unwritten rules that threw off Julio Teheran in the first once he pegged Jose Bautista. In any event, let’s move on to Friday. 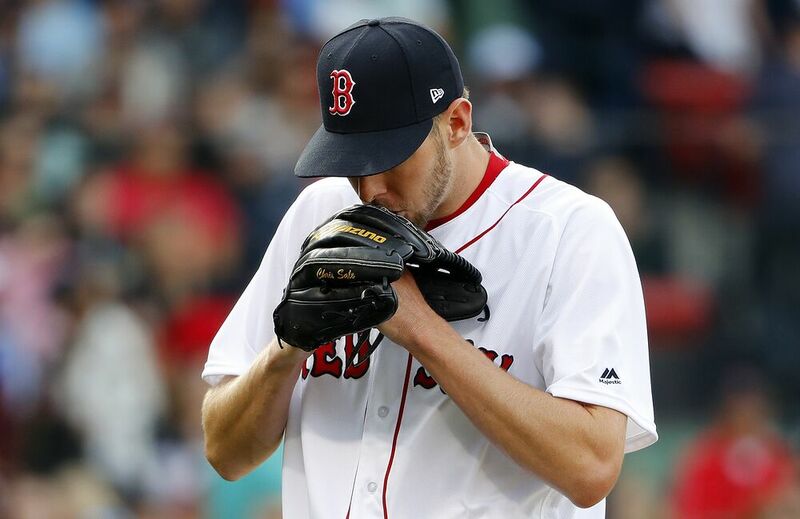 Two years ago, Chris Sale went on one of the most extensively dominant runs exhibited by any pitcher in recent memory, as he would record eight straight double-digit strikeout games from late May 2015 into the very end of June, ultimately totaling a whopping 97 Ks over that span. He was so incredible, in fact, that he tied Pedro Martinez for having the most consecutive games with at least 10 Ks in an outing. It was truly a sight to behold if you were keeping up with this remarkable stretch. Flash forward to the 2017 campaign and the perennial Cy Young contender is at it again — albeit now as a member of the Red Sox — this time one game shy of the history he matched a couple of seasons ago. Sale has accumulated 78 strikeouts across his last seven starts, registering at least seven innings each time out in all but one of those, as he continues to lead the pack in the early going for the AL Cy Young award. The former White Sox ace has been absolutely remarkable overall in his first season in Boston, entering tonight’s start with a 4-2 record to go with his 2.15 ERA, 0.77 WHIP and his stellar .160 batting average against through eight assignments. He’ll have an excellent chance to keep it going within Oakland’s pitcher-friendly confines, taking on a team that ranks 18th in OPS (.697) versus left-handed pitching. And for context, here is how Sale fared in 2015, when he was in the same position of vying for a record eighth straight start in which he would have double-digit Ks: eight innings, six hits, one run, 12 strikeouts and only one walk, which came in St. Louis in a 2-1 victory. If Sale can churn out something even close to that, the under will be in good shape here. We may also need a quality outing from his counterpart, Kendall Graveman, tonight, and even though he’s coming off a performance that saw him yield four runs in six innings, that’s actually something that bodes well for his prospects in this particular assignment. An in-depth look at Graveman’s game log since he was first inserted into Oakland’s pitching rotation a couple of years ago reveals that the 26-year-old actually bounces back effectively when he has an outing that sees him surrender more than three runs. In fact, of all the last five instances dating back to last season when Graveman would do this, as the A’s right-hander would go on to register a quality start his next time out in all but one of his follow-up starts. That’s a useful item to know because as long as Graveman doesn’t get rocked this evening — which also seems unlikely given that he’s been considerably better at home (3.53 ERA, 1.24 WHIP) than on the road (4.58 ERA, 1.42 WHIP) throughout his career — then the under should be very promising. Either way, the best part of this bet involves relying on Sale as he shoots for history once again. And given his track record with such a streak, he may end up twirling one of his finest gems yet since joining Boston’s pitching staff. Thus, it’s an under bet really worth digging into. *Always check back to see if additional action has been added.